Spirits flagged as the opposition racked up points. The first Cambodian to ever cross home plate in a major game. 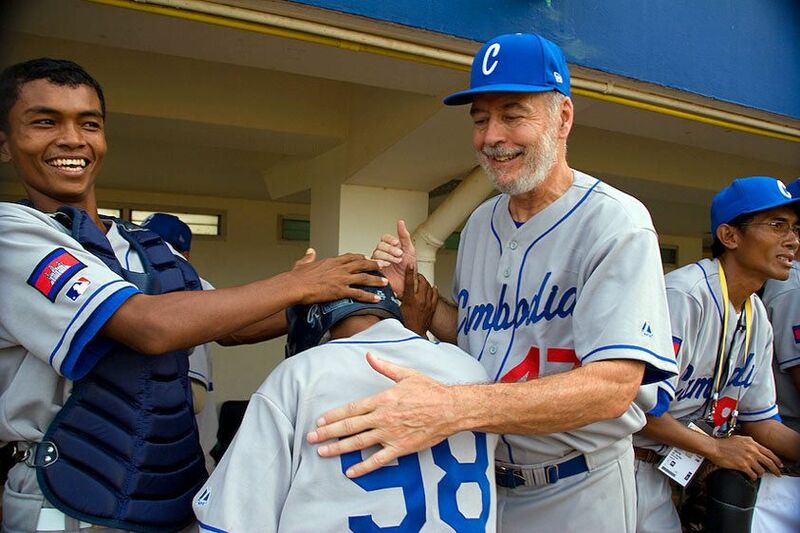 A coach and teammate congratulate the first Cambodian to cross home plate. Excitement for a good play. 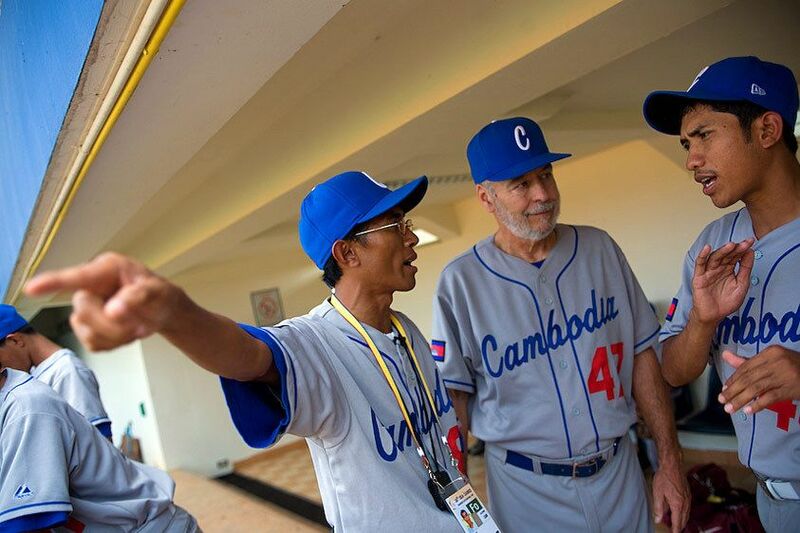 Cambodian Team founder Joe Cook invited Philip Beaudoin, a Canadian with extensive coaching experience, to help coach the team through the games. The two grew to have conflicting methods. Angkor Wat, the famed temple complex of the ancient Khmer Kingdom, is the symbol on the Cambodian team's uniform. 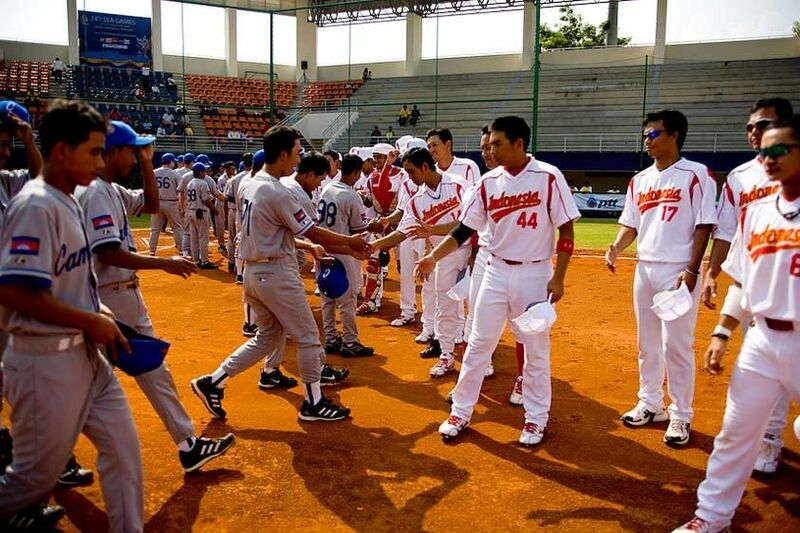 In December 2007, Cambodia's first baseball team played in the Southeast Asian Games, hosted in Bangkok. Players practiced on a regulation field with professional equipment for the first time. 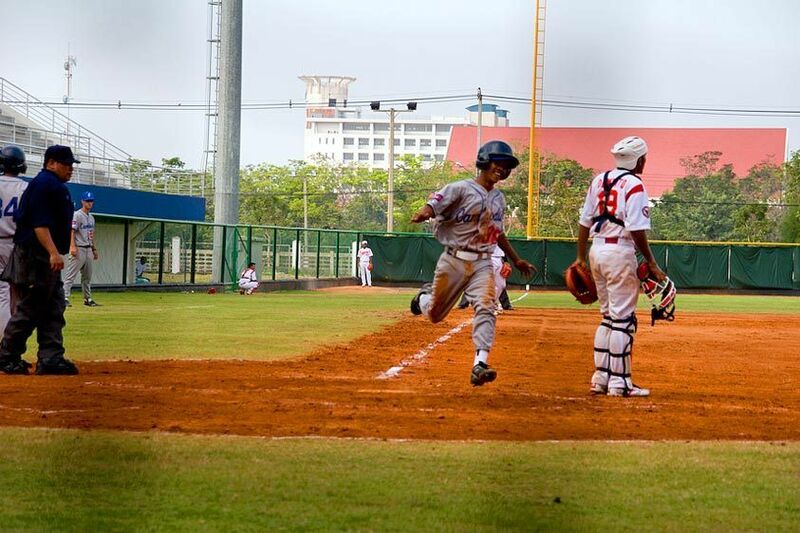 The practice field in Bangkok was the first real baseball field the team had seen or practiced on. Team members and supporters left Cambodia for the first time to participate in the SEA Games, held in Bangkok. Cambodia is a Buddhist country. Monks blessed the team before their journey. Team founder and captain Joe Cook addresses the team as they prepare for the Southeast Asian Games. 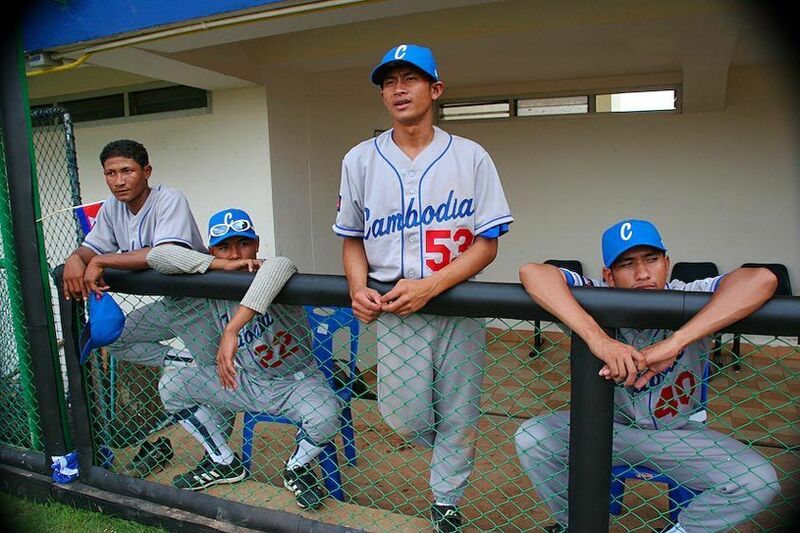 Players come from all over Cambodia. 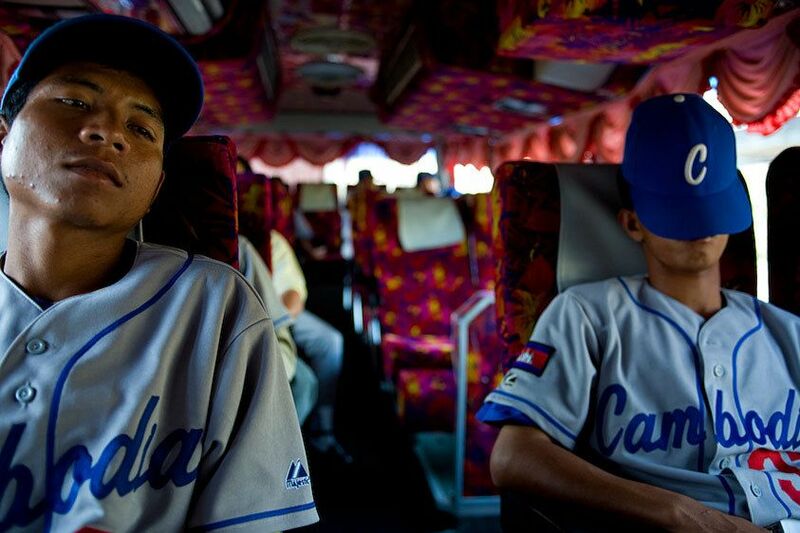 Baseball offers them an opportunity to escape poverty and to have fun. Some practiced without shoes and many support families.